The employment situation for March showed downward revisions to payroll employment in both January and February and a considerably slower growth in jobs in March. This morning’s Job Openings and Labor Turnover Survey (JOLTS) report generally corroborates that story—the recovery hasn’t stalled, but it isn’t doing much better than simply chugging along. The total number of job openings reached 5.1 million in February; the number of unemployed workers fell to 8.7 million. 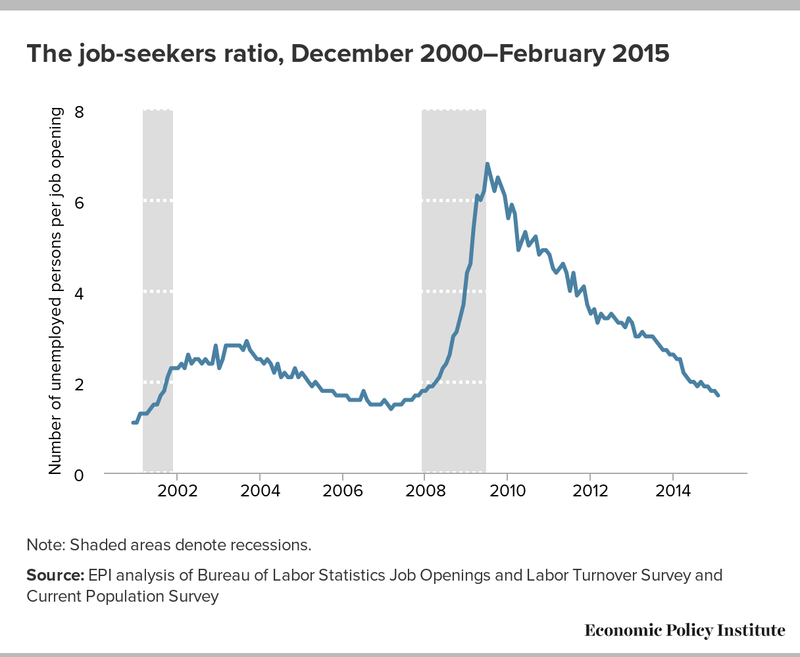 Taken together, the result was a slight drop in the job-seekers-to-job-openings ratio. In February, there were 1.7 times as many job seekers as job openings. This ratio has been declining steadily from its high of 6.8-to-1 in July 2009, as shown in the figure below. What’s notably missing from the story are the millions of workers who have been sidelined because of weak job opportunities. When the number of unemployed workers fell in February, the numbers of missing workers ticked up. While it’s important not to put too much weight into any one month’s number, it’s unlikely that a continued fall in the job-seekers-to-job-openings ratio is sustainable in the near term as more workers enter or re-enter the labor force when job opportunities grow. Note: Volatility in the number of missing workers in 2006–2008, including cases of negative numbers of missing workers, is simply the result of month-to-month variability in the sample. 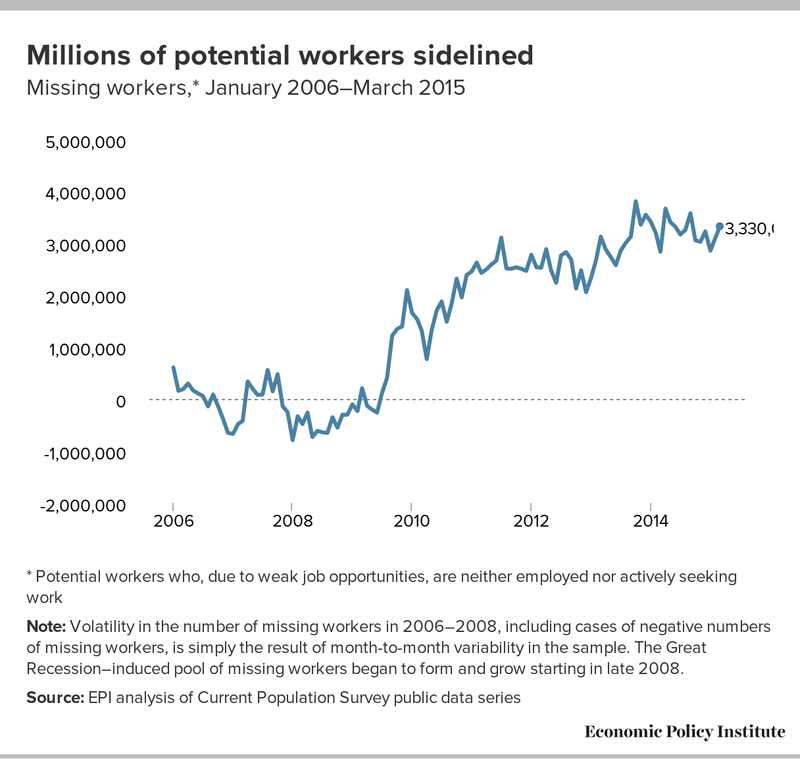 The Great Recession–induced pool of missing workers began to form and grow starting in late 2008.